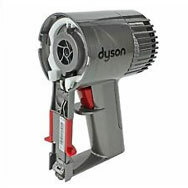 Keep your Dyson V8 Absolute (SV10) like new with our extensive range of parts and accessories. The V8 model is powered by a new Nickel-Cobalt-Aluminium battery to delivery up to 40 minutes of no suction loss. 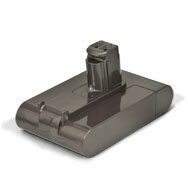 With our replacement batteries and chargers you are able to extend the use and have spares at hand. With other accessories and tools available for the V8 you are sure to reach every area in the home. Dyson Quick Release Crevice Tool SV10 SV11 ..
Dyson Home Cleaning Kit for models SV10, SV11, SV12 ..
Genuine replacement quick release wand assembly to fit select models of Dyson vacuum cleaners ..
Dyson Dock Service Assembly ..
Genuine replacement part to fit select Dyson SV10 vacuum cleaners ..
Dyson Quick Release Motorhead Assembly V8 SV10 ..
Genuine replacement dusting brush to fit select models of Dyson vacuum cleaners Please check mode..
Genuine replacement extension wand to fit select Dyson SV10 vacuum cleaners Please check compatib..
Genuine replacement quick release wand assembly to fit SV10D and SV11 models of Dyson vacuum cleaner..
Dyson Power Pack And Screws SV10 V8 V12 ..
Genuine Dyson mini soft dusting brush for select models of Dyson SV10 (V8), SV11(V7), HH11(V7) model..
Genuine Dyson main body assembly for Dyson SV10 V8 models ..
Genuine Dyson complete cleaning kit for Dyson models SV10, SV11, HH11 ..
Genuine Dyson Brushbar Assembly for Dyson SV10 models ..
Genuine Dyson bin assembly for Dyson SV10, SV11, HH11 models ..